Balancing spa water means that the water is neither too alkaline (high pH) which causes destructive scale buildup on equipment, nor too acidic (low pH) which may erode plumbing and cause costly damage to spa pumps, seals and heaters. Balanced water has a more pleasant feel to the skin, and allows your sanitizer to work more effectively. Spa water can be tested by using test strips to check alkalinity on a weekly, or bi-weekly basis. Water sanitation is arguably the most important out of the 3-step system. 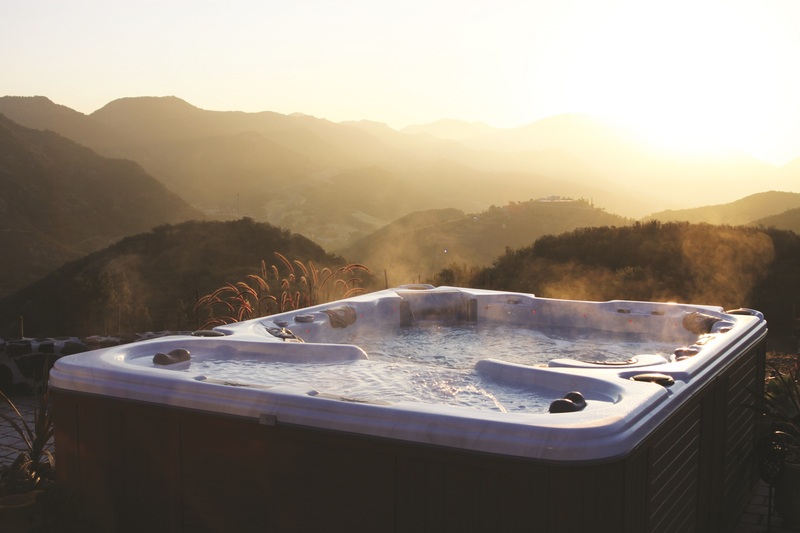 Preventing additive chemicals can be made easy by implementing an ozone or salt water system to your hot tub. Not only will a sanitation system ensure that your spa water is always ready to be enjoyed, but it can also reduce the amount of chemicals used to balance or shock spa water. If you do not have a sanitation system, it’s not too late! Contact your local certified Cal Spas service dealer. The most important thing to do in preparation for shocking the spa water is to first test the spa, and adjust the pH to the range of 7.2-7.6. Oxidizers work best in a low pH environment, and the efficacy of your spa shock is twice as great at a pH of 7.6, than it is at a pH of 8.0. When shocking the spa, be cautious when using spa shock, oxidizers can be dangerous when misused or mishandled. Different oxidizers have varying strengths – be careful not to overdose your spa shock treatment. High winds can blow spa shock right in your face. Gently pour it over the surface, and clean up any spills right away. Another way to effectively maintain your hot tub clear of the elements is by implementing a diligent and form fitting spa cover. Find the perfect fitting spa cover for any hot tub brand at www.QuickSpaParts.com and limit the amount of hot tub maintenance you need to perform on your hot tub.